You may be enjoying the free and fast Internet connection maybe in school, in a bank, cafe of just anywhere with a free open Wi-Fi connection. So, everyday you just go with your phone or laptop to the free Wi-Fi spot to get the latest movie or game download or playing or you just go to chat with your friends like most girls will do. Like, in FPNO (federal polytechnic nekede,owerri) wherever you see students clustered at a point with smartphones and laptops, just know that there is a fast and free Wi-Fi Internet connection there. Students won’t mind coming along with there complete set of Desktop computer set to school. how dramatic it can be. Well public free and open Wi-Fi internet connection can be very useful any time to students and anybody but at the same time it can be very risky. Below is a list of possible dangers in a public Wi-Fi.-You can get spammed on a public Wi-Fi. 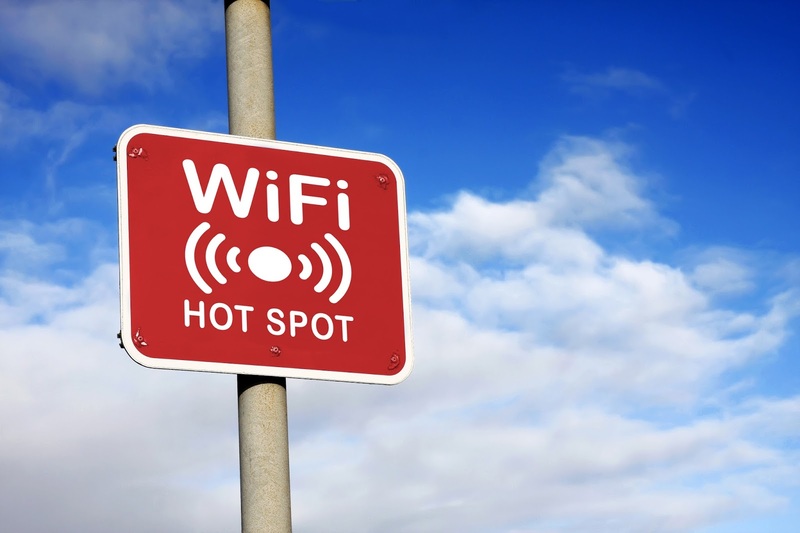 -Hackers cash on prone devices in a public Wi-Fi. -One can spoof your details over the network. -You risk leaving yourself open to spies. This may sound too pushy, but you would not want anyone spoofing around your private files. so to be safe turn of file sharing. see steps on windows and mac below. 1. Search for “Control Panel” then click on the best match to open it. 5. To prevent network snoopers from seeing your computer, tick off “Turn off network discovery” too. 1. Open your Mac’s System Preferences (the gear icon on your dock). 2. Click on the “Sharing” icon. 3. On the next “Sharing Page,” uncheck File Sharing. 4. I also recommend that you uncheck all the other sharing services here when connecting to public Wi-Fi. 5. Close the window and you’re set. Smartphone users may not get the feature due to some certain protocols, but at the same time it’s all safe. Many just turn on their regular Internet browser after they must have connected to a public Wi-Fi, then they start keying in their passwords where needed without background check of the net they are connected to. Your passwords can be spoofed or you may be spied on when you use your browser in the normal browsing mode. Incognito mode exist in every browser and it is trusted to not keep your info in any storage format or share it with any side application or anything, hence keeping you safe till you close the session. Although the normal browsing mode can be useful when it comes to password security and so, but it can be easily compromised. As much as Incognito keeps you safe on public Wi-Fi low level threats, there are some advance threats that Incognito won’t be your saving grace, you may want to read – What doesn’t incognito mode protect against? Never do the mistake of turning off your firewall in your PC, your life will be ruined when you get connected to public Wi-Fi. For this reason, windows have a certain duration for firewalls to stay off. So at least you get safe surfing in any network. Anti-viruses go beyond scanning your files and applications, they can get your network traffic scanned to ensure no hacker or virus is coming in to your device or to make sure you are getting a response from a trusted server. This feature is too vital for this you get it in paid versions of anti-viruses.